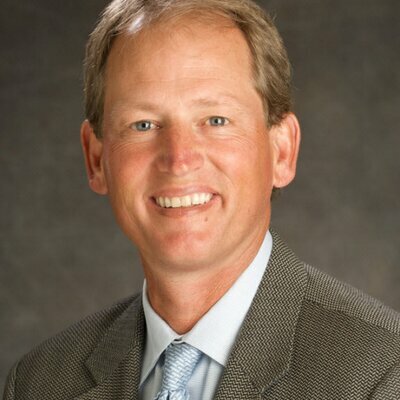 (April 26, 2018 – Colorado Springs, CO) Sports Virtual Training Systems, Inc. (Sports VTS) announced today that Rick Neuheisel has joined Sports VTS as a key advisor on the continued development of its QBSIM virtual reality simulator. Neuheisel, a former quarterback at UCLA and long time collegiate and National Football League (NFL) coach, will also join the QBSIM Academy where he will advise on the use of QBSIM to train professional, college and high school quarterbacks. Sports VTS will begin offering QBSIM to NFL and college teams for the 2018 season, and QBSIM academy has begun working with elite quarterbacks on an invitation-only basis. Neuheisel, a football analyst for the CBS Network and host of the ”Full Ride” show on SiriusXM College Sports Nation channel, is a former head coach at Colorado (1995-1998), Washington (1999-2002) and UCLA (2008-2011), where he posted an 87-59 record. He led Washington to a Rose Bowl title in 2001 and brought his teams to seven bowl games during his head coaching tenure. From 2005 to 2007, Neuheisel was an assistant coach with the Baltimore Ravens of the NFL, as quarterbacks coach for two seasons and offensive coordinator for one. He attended college at UCLA (1980-1984), where he played quarterback for the Bruins and led them to victory in the 1984 Rose Bowl, in which he was named MVP. He graduated from UCLA in 1984 with a degree in Political Science. About Sports Virtual Training Systems, Inc. Founded in 2016 and headquartered in Colorado Springs, CO, Sports Virtual Training Systems, Inc. (Sports VTS) is revolutionizing the world of sports training with its proprietary technology that creates Simulated Reality training experiences, allowing athletes to combine real world repetitions (e.g., dropping back in the pocket, throwing a real football) within the immersive environment of VR. QBSIM, the first product from Sports VTS, is the only simulation solution that allows a quarterback to train by passing a real football into virtual reality. Simulated VR players act and react with artificial intelligence comprised of over 10 years of game data and statistics. The platform leverages sports science, big data, and state of the art technologies to help players maximize performance by learning faster through a focus on neuro-recognition of patterns and minimization of injury risk.